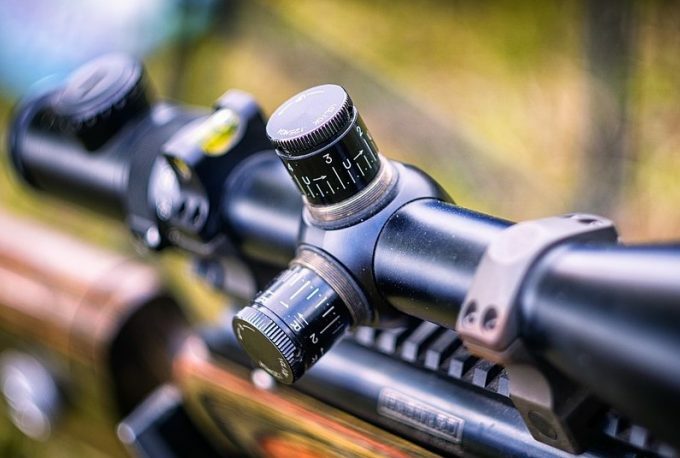 A scope is literally one of the best things that you can have when going hunting in the great outdoors and there are a lot of reasons for which you should get the best 22 rifle scope that you can find. 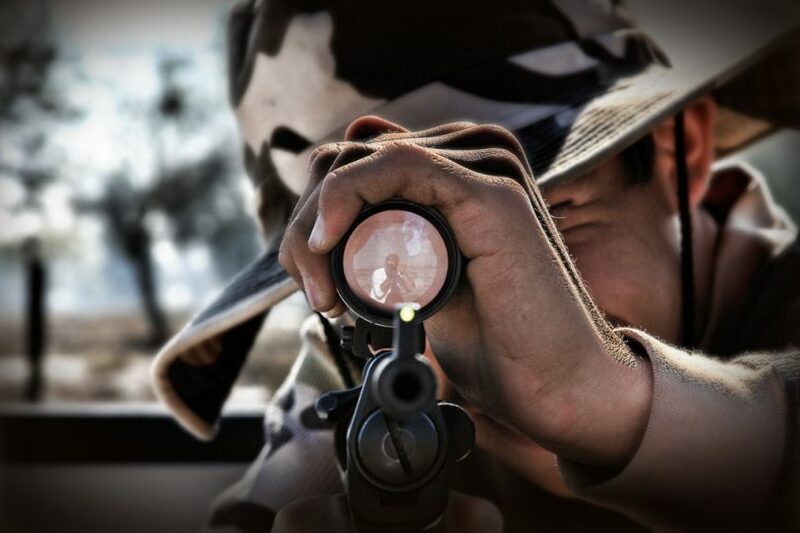 Hunters, snipers, scouts, and marksmen are all very serious about their scopes and never treat the subject lightly. It is literally one of the best accessories that you can have at your disposal because of the vision that it offers you, the increased level of accuracy and the ability to track down your target and find the right moment to take the shot. That being said, neither should you. There are a lot of things that go into making a scope and a lot of details that you will have to watch out for in order to find the scope that is best for you. Whether you or your friends like it or not, you will have to take your time, really think about what you are hunting, where you will be hunting and under what conditions in order to pick out the right scope for the job. The market is rife scopes of all shapes and sizes, all makes and models, with all the design choices and all the extras that you could ever imagine. So there is a wide variety that you can choose from, you just have to know how to narrow it down until you are left with only a few choices. Although a very common sight on hunting rifles, the scope is not really a versatile accessory, to begin with. While there is some versatility to be had in regards to what rifles they will work with and in what hunting conditions they can perform, it is still an optical sight. That being said, there are a lot of different scopes out on the market, each with its own unique specifications, its own strengths and weaknesses and its own environment and scenario in which it can perform at its best. With that in mind, finding the right one for your hunting needs will involve a lot of trimming and a lot of narrowing down your options. In order to do that, you will have to look at all the features of a scope and decide which one is best for you and in what way. This one is a bit more misunderstood, and people tend to compare it to the zoom function on a digital camera.A scope’s magnification is its backbone and the main way in which we judge scopes to begin with. Simply put, it can have the fanciest reticle, the best design, and the most modern lenses, but if you can’t see past 400 yards with it then it’s of no use to you.The way in which you determine a scope’s magnification capabilities is by how many magnification levels it has and the size of the magnification lens. 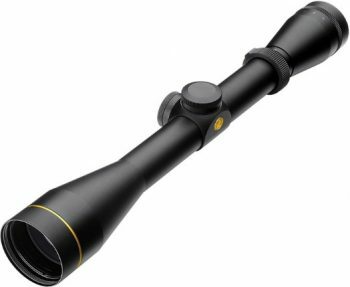 For example a scope with a magnification rating of 2-5 x 30 mm starts out at 2x magnification as its lowest setting, it can reach a maximum of 5x magnification, all through a 30 mm wide lens. This tells you how much the scope is able to magnify your vision and a rough estimate of the field of view that you will have. Higher magnification means that you will be able to see further and a bigger magnification lens width translates into a larger field of view. Each scope has 3 adjustment knobs.The first one is located behind the eyepiece and controls the magnification level. The second one is located on the side and gives the shooter the ability to fine-tune the magnification level. The third one is located on top of the scope and it controls the focus of the scope.Sometimes, depending on the scope, the side and top knobs have their roles reversed, regardless of that they should be easy to operate, reachable and require very little effort to turn. This is the simple run of the mill basic reticle. It consists of 2 lines running perpendicular over one another. The first one runs vertically from the 12 o clock position to the 6 o clock position and the second one runs horizontally from the 9 o clock position to the 3 o clock position. This is another rather basic reticle which relies on a vertical stripe running from the 6 o clock position to the center of the lens with a sharp tip with which you aim. There are some variations of this reticle, some introducing 2 horizontal stripes on the sides, however, the main design still stands. This is as basic as it can get. There are no lines, no markings, no numbers, just a dot in the middle of the lens with which you aim. This one is similar to the simple crosshair, but with the bottom quarters of the stripes being thicker and the top ones being thinner with distance marking on them. 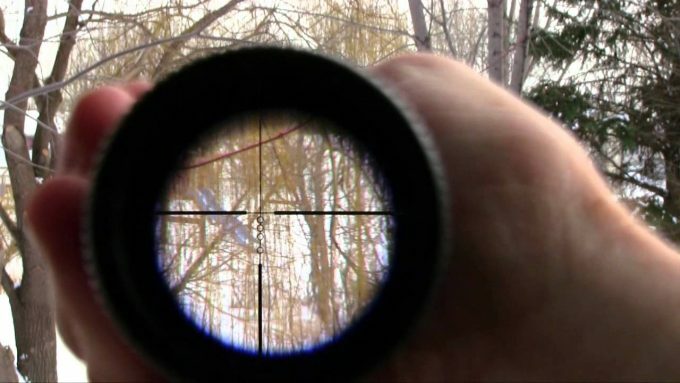 The BDC or Bullet Drop Compensation reticle is similar to the Mil-Plex reticle but with 3 small markings on the bottom half of the vertical stripe which indicate bullet drop distances. Similar to a slightly shorter version of the crosshair, it is thin and full of distance markers all along the length of the lines. The duplex reticle combines the crosshair and the German reticle designs. It uses 2 lines that run perpendicular on one another. Their lower quarters are thick and the upper quarters along with the intersection considerably thinner. While choosing the right scope is never an easy thing to do, we have compiled a small list of the most popular and sought after options on the current market. Best use: Hunting medium game, medium/long range shooting, light semi-automatic rifles. While it’s not one of the biggest scopes on the market, CVLIFE 4×32 Compact Rifle Scope is certainly one of the more efficient ones out there. It was designed for compact rifles with relatively short barrels and low profiles, making them great for medium and long range hunting. The Kellner Eyepiece allows the shooter to look through the scope and have the same field of view as he would through a large scope, negating the negative effects of its compact design. Another great thing about this nifty little scope is the fact that it can be attached to rail systems, making it an excellent choice for automatic rifles and smaller weapons using the rail system. Sporting a state of the art elevation and windage adjustment system, the scope can give the shooter a better idea of the trajectory and range of the shot despite more difficult and windy conditions. All in all, it is a nice, inexpensive and useful scope to have. It’s small, versatile and able to function with smaller weapons as well. Related: CVLIFE also makes it possible for hunters to purchase the CVLIFE Outdoor 50L Military Rucksacks Tactical Backpack, making it easier for them to carry their hunting gear as well as sort it efficiently in its various compartments. Versatility is what most hunters look for in a scope, and Nikon really hit the nail on the head with this one. First of all, the Nikno ProStaff 3-9 x 40 TRT APG scope can be mounted on both rail and ring systems, meaning that it can be used with both automatic and bolt/lever action hunting rifles. Another interesting thing to note here is the 3.6-inch eye relief distance, which is slightly larger than most scopes have. 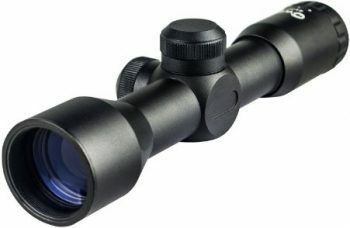 This means that this scope, if needed, can be used with more high-powered rifles that have larger recoil ranges, safely. The rate of magnification on this scope is fairly average, 3-9x 40 mm however it uses the BDC reticle, making it easier for the shooter to eyeball the drop rate of the bullet and extend the accuracy range of the rifle. 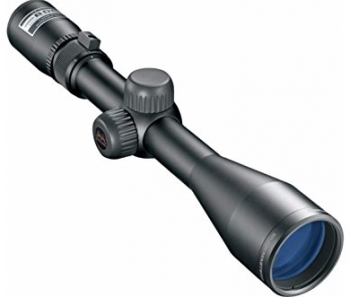 With that in mind, this scope is great for big and medium game hunting and can be used in all environments without having to compensate for any shortcomings. Related: Hunters can also opt to purchase the Nikon Trailblazer Waterproof Series ATB Binoculars which will help them get their bearings a lot easier and spot things from a distance. While the name Barska is not a resounding one in the world of optics, they are still able to provide a very good scope for hunting rifles. The first thing that pops, right off the bat with the BARSKA 3-9×32 Plinker is the extended zoom range that this scope has. It is able to magnify at 3-9x 32mm, which is quite rare for a 32 mm magnification lens. Another great feature that this scope has to boot is the fact that it includes a set of multi-coated lenses which act as a shield against light effects. This is similar to how polarized lenses work, nullifying the effects of glaring and light flares. When adjusting the scope, the knobs are responsive and quite springy, allowing for very little travel time in between clicks. 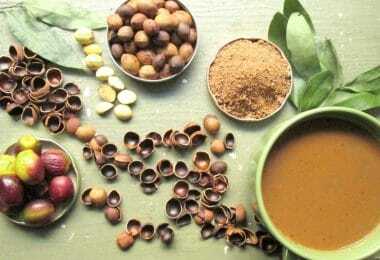 This makes it very responsive and very easy to adjust with as little movement as possible. Something important to note about this scope is its generally low profile. 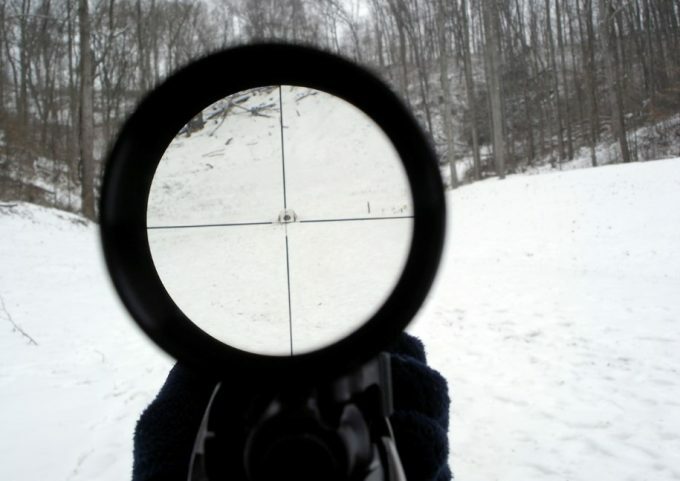 While it does sit at a safe distance above the barrel, the overall profile of the scope is rather small. This means that it is easier to conceal in tall grass or in the shrubbery. One last thing to note about this scope is the fact that it sports a 30/30 duplex reticle. This makes it easy to hold your target in sight and take aim properly. All in all, it is a great scope to have and it can serve as a good scope for beginner hunters as well. Related: Barska also allows hunters that go out in pairs to purchase the Barska Colorado Waterproof Spotting Scope, allowing one of the hunters to act as a long range spotter while the other takes the shot. The BSA 6-18X40 AO Sweet scope follows the more traditional rifle scope design, with a slightly raised profile, but with the adjustment knobs a lot closer to the shooter than other scopes from its range. One of the best things about this scopes is the ease with which it can be adjusted and calibrated, the shooter needing only one finger in order make the adjustments. The wide 40 mm magnification lens at the front of the scope gives it the ability to provide a nice full field of view for the shooter to take advantage of. 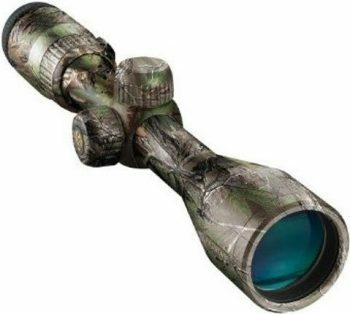 This makes it great for hunting large and small game alike, giving the hunter the vision and accuracy to go as far as to snipe off critters in the distance. A very important thing to note about this particular scope is the fact that it was designed specifically for use with .22 rifles. While other scopes can be used with other more powerful or weaker rifles, the BSA scope can only be used effectively with .22 rifles. Calibration is the only small problem with this scope, often times the shooter will find it difficult to make the initial calibration before heading off to hunt. 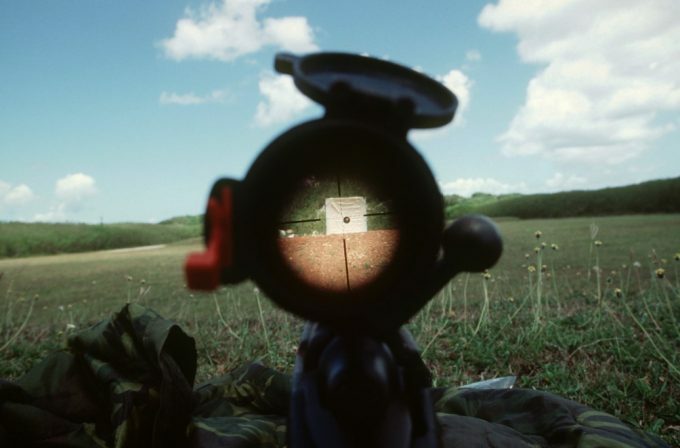 While with some scopes there are ways in which they can be calibrated without firing the rifle in the process, this scope will require you to fire 3 shots at different ranges in order to perform the initial calibration. Related: It is also possible for hunters to purchase the BSA Bore Sighter Kit, which makes it easier for them to augment and fine tune the sights on their rifles. Simplicity and elegance at their finest. This will be the first thing that you will say when you see the Leupold VX-2 scope for the first time. While some scopes have a lot of visual indicators and a lot of extra components tacked onto them, the Leupold VX-2 is as simple as it can get. This is because of the mono-block tube construction of the scope. Besides looking a lot neater and a lot cleaner than other scopes, it is also a lot better protected against the effects of humidity and the weather. Fogging up, artifacts and loose particles are no real concerns for this scope. On the flip-side, this also means that the scope itself cannot be serviced properly if damaged and the interior focusing lenses cannot be swapped out easily like on other scopes. 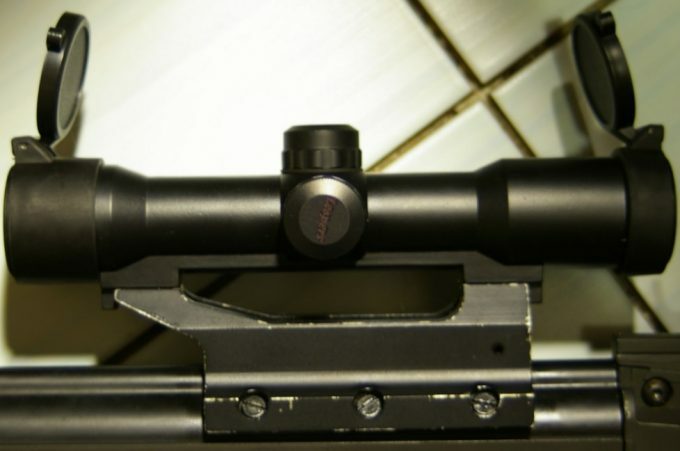 This scope also uses the signature Leupold Matte Duplex reticle which is able to absorb the light around it and help the eye focus on the actual target. The Duplex design also helps the shooter by providing a hair thin reticle which does not block the direct line of sight. Another one of the strengths that this scope boasts is the fact that all the lenses that make up its insides are index matched, meaning that every single lens was designed for that specific slot in that specific scope. This makes it able to provide the shooter with a much clearer sight and a lot more optic capabilities at long ranges. Related: Leupold also sells the Leupold Lens Pen 48807, which makes it very easy for hunters to clean out even the finest of dust particles from even the hardest to reach edges in the scope. Best use: Big/medium game hunting, long range shooting, action rifles. This is the result of Nikon and Buckmaster, both very well respected names when it comes to optics, teaming up and designing more or less the ultimate hunting scope, the Nikon Buckmaster II. The first thing you will notice with this scope is the fact that it is built to take a lot of punishment. 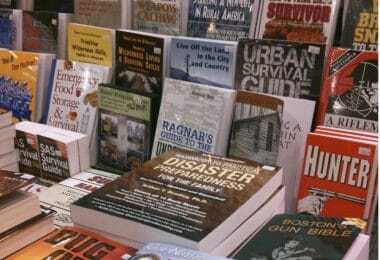 It is very durable and impervious to weather conditions because of the way in which it was built and shaped. Another thing that you will notice the first time that you peek through it is the fact that it sports a BDC reticle, allowing you to go for either a straight shot or a long range curve shot, depending on what the situation demands. Lastly, one of the key features of this scope is the way in which the lenses are made. They are coated with a brighter anti-reflective system made up of multi-coated lenses giving it a 92% anti-reflection capability. 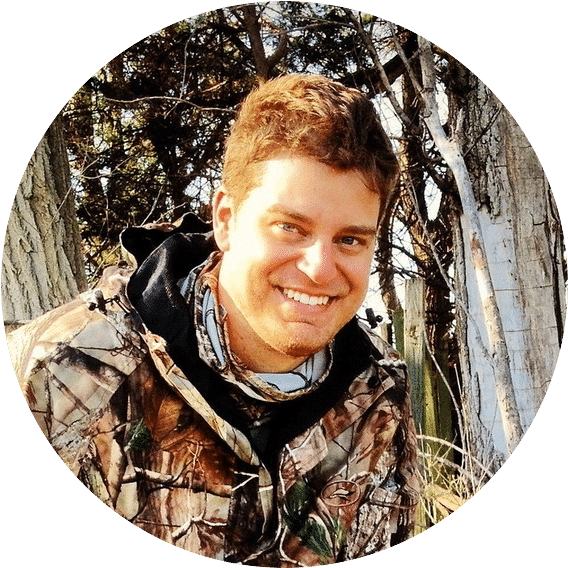 It is a great scope to have regardless if you are just starting out as a hunter or you’re a well-versed hunting veteran. Related: Nikon make things easier for hunters by making it possible for them to purchase the Nikon 16×32 StabilEyes VR Waterproof Prism Binoculars, which help them see over large distances in even the harshest weather conditions. As far as hunting scopes go, they are rather limited. The Vortex Crossfire II, on the other hand, manages to bust through those limitations and provide the shooter with a lot more capabilities than it should be able to. First of all, the magnification of the lenses, while not as great as other on paper boasting a 2-7 x 32 mm, it is able to provide a generous field of view without altering the eye relief distance, like most other scopes do. This means that the hunter is able to see a lot more of the area on which he zooms in. Another great thing about this scope is the fact that it sports the V-Plex reticle, making it very easy to align your sights and take aim. This more or less makes it an all-purpose hunting reticle, able to adapt and help with everything from big game hunting to sniping small critters from a distance. One last thing to note about this scope is the fact that its design closely follows the ones used in military applications. The MOA turrets are resettable, the eyepiece is fast-focus and the increased eye relief distance is common in scouting and high-powered military rifles, as well as the Vortex Crossfire II. It is easy to use, intuitive especially for an experienced hunter or marksman, and it can provide a generally good hunting experience as long as it is maintained properly. Related: Vortex offer a wide range of products that are geared towards hunters, one of the more popular products being the Vortex Solo 10×36 mm Monocular which allows hunters to get a good sight on their targets before looking through the scope. Finding the right scope for your rifle is never an easy task. Every shooter, from the most experienced to the most amateur know that this process is not one to be taken lightly and are willing to take as much time as they need in order to find the right optics for their barrels. You will have to do the same. By figuring out what conditions you will be hunting in and what you will be hunting for, you will be able to find the right scope for the job.